Dogs are much like people, in that they can become allergic to substances in their food and in their environment. Most puppies are allergy free for the first year of their lives, but as they begin to mature, they may become sensitized to certain substances that cause skin irritations, runny eyes, runny nose, wheezing, and other uncomfortable symptoms. As pet owners, we have the responsibility to keep our pets as healthy as possible. If your dog has allergy symptoms, or acts like he doesn’t feel well, don’t hesitate to take him to the vet for evaluation and treatment. Obviously, your dog cannot speak our language to tell us what is wrong with them, so it is up to us to observe. If you pay attention to your dog, most of the time you will be able to tell if he has an allergy. If your dog is chewing on a part of his body, he is telling you it itches very badly. If you see your dog washing himself with his tongue for long periods of time, he may be trying to soothe that area of skin. If you see hair loss, rashes, oozing sores, these are all signs of skin allergies. Left untreated, his allergies will only get worse, and he will be miserable. Once the skin is opened from oozing sores, or from scratching and biting, there is a risk for infection to occur. It is important to get your dog treated right away. Allergies appear in dogs the same way as in people. 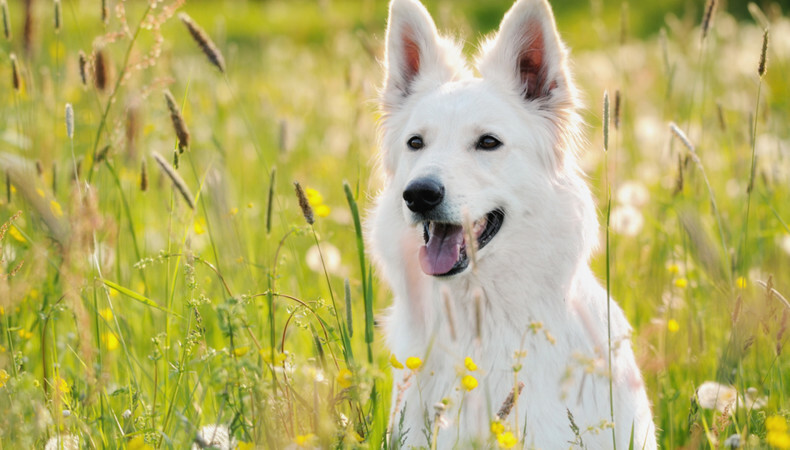 Your dog may be exposed to an allergen and have little or no reaction at the time. However, the next time the dog is exposed to the allergen his immune system attacks the allergen. The allergic response is induced by the immune system’s production of histamine; thus the dog gets the runny nose, oozing sores, and itchy skin. Dogs are also capable of having a bad allergic reaction that causes them to go into anaphylactic shock. The allergic reaction is so severe that the dog’s airways close off, the blood pressure drops, and cardiac arrest can follow if emergency treatment is not rendered. Your dog could be allergic to bee stings. The first sting might not cause much of a reaction, but the next one could kill your dog. It is important to keep your dog from chasing after bees. Sometimes a dog will try to catch a bee in his mouth. If the dog gets stung it could be painful at best, but if he is allergic to bees, a sting could be fatal. One of the most common sources of dog allergies comes from fleas. It is important that you treat your dog for flees regularly, and you also treat your dog’s environment for fleas. Thus, it is important to treat the dog’s bedding, your carpets, furniture, and other indoor soft furnishings for fleas. It is just as important to treat your outdoor area for fleas also. It is important to mow your lawn on a regular basis, because high grass is a place where fleas and ticks like to hide. In order to kill fleas you need to interrupt the flea’s reproductive cycle. Killing the fleas isn’t enough. You need to kill the eggs that the fleas leave behind. Your dog and all the furnishings and carpets will need to be treated until all the fleas and the eggs are destroyed. Whatever you use to kill the fleas must be safe for your pets. 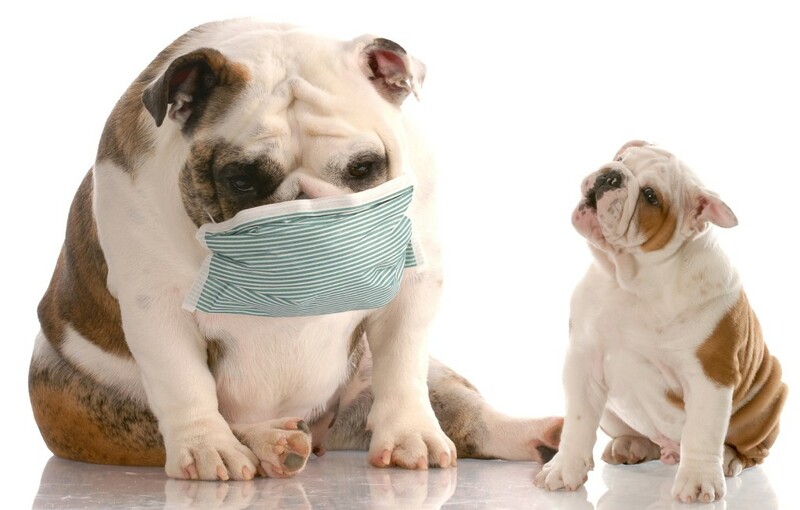 Dogs and cats are especially sensitive to toxins. Don’t use borax to kill fleas, even though borax would be effective. Borax can harm your animals. To ensure the safety of your pets, check with your veterinarian to find out the best flea treatments to use on your dogs. Also ask your vet what is safe to use to treat your home and the outside areas, so that your pets will be safe. Be sure to take your dog to the vet when he shows any symptoms of discomfort; it may be an allergy, or it could be an illness. A diagnosis should be made by your dog’s vet to properly treat your dog.